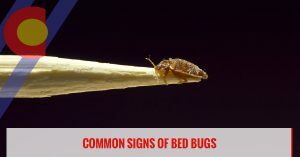 Bed bug infestations can be a real nightmare, but when you hire a pest control company like Colorado Pest Management to take care of the problem, you won’t have to worry about these critters coming back into your home. On this page, you’ll find various articles about bed bugs and what you can do to keep them away from your property. If you’ve started to notice rusty or reddish stains on your bed sheets or mattress, it may be time to call our bed bug specialists. In addition to bed bug extermination, we also specialize in wildlife control and exclusion, vole control, and bird control. Get your free estimate today!